Tucked in between the iconic safari destinations of Kenya and Tanzania, Rwanda Ecotourism safari offers guests some of the best primate tracking on the planet – set against the backdrop of its endless green hills and soaring mountainsides. 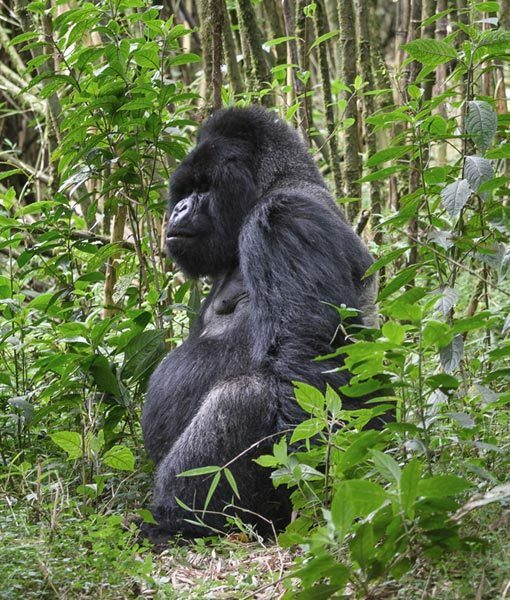 With over half of the world’s remaining mountain gorilla population, it’s no surprise that the majority of guests visit Rwanda to track and view our highly endangered cousins. Rwanda is superb for primates in general, including the fun-loving Sykes monkey, the Golden monkey and the boisterous chimpanzee in the Nyungwe Forest. Despite a turbulent past, Rwanda is a safe and friendly Ecotourism destination – testament to the resilience of its people. For guests seeking a deeply enriching eco safari, Rwanda offers an experience that is difficult to find anywhere else. Add Rwanda To Your Safari.